Climate is a key factor determining plant distribution. Predictions of rapid climate change have resulted in a renewed interest in the possible responses of plants to changes in climate, such as migration to other localities, phenotypic plasticity and local adaptation. The aim of this project is to study the possible impact of predicted climate change on the short-lived perennial plant Anthyllis vulneraria along environmental gradients. We will analyze natural populations and their habitats along altitudinal and latitudinal gradients to investigate relationships between population characteristics and environmental conditions. We will also investigate molecular genetic diversity in relation to the same gradients. The variation in a number of quantitative traits and its distribution among spatial scales will be studied in a lowland common garden and compared with that of the variation in neutral genetic markers. 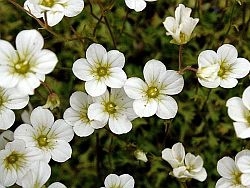 We will test whether plants from mountain and high latitude populations perform less well under lowland conditions than plants from lowland and central European populations, and whether genotypes exist in the mountain and high latitude populations that are preadapted to the predicted warmer future conditions. Plants will be genotyped to detect loci correlated with ecological gradients which are of ecological relevance in A. vulneraria. Predicted higher temperatures are likely to increase the frequency of drought. To assess the role of plasticity and evolutionary adaptation in the response to increased droughts, both the plastic responses of high latitude / altitude and lowland populations to drought and genetic variation in drought resistance will be studied experimentally. The expected results will contribute to a better understanding of the role of plasticity, genetic diversity and local adaptation of short-lived grassland plants under predicted climate change. The outcomes will also have implications for the conservation and management of biodiversity. PhD granted by Fonds national de la recherche Luxembourg. Duration: 3 years (01.09.2014 – 30.08.2017, 01.09.2017 – 30.08.2018). Daco L (2011) Etude phylogénétique et phylogéographique de Gladiolus palustris et Gladiolus imbricatus à l’aide de marqueurs nucléaires ITS. Master thesis, University of Strasbourg, France. Parasitic nematodes can cause serious diseases and their emergence in new areas can be an issue of major concern for human health, agricultural productivity and biodiversity conservation. Molecular studies of nematode invasions can make a significant contribution to a better understanding of the underlying mechanism of the emergence, spread and persistence of the parasites. Also, they will clarify the evolutionary potential of the invaders in their new range and help with the elaboration of adequate management strategies against helminthic disease. 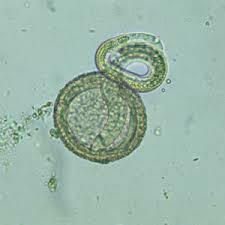 The raccoon roundworm (Baylisascaris procyonis) is a common gastrointestinal parasite of the raccoon (Procyon lotor), that is emerging as an important helminthic zoonoses that mainly affects young children. Translocations of raccoons have increased the global geographic range of its roundworm as well. Raccoons are particularly abundant and wide-spread in Germany, where they can occur at high densities in urban areas. Recent genetic work has provided evidence for at least four independent introduction events, which gave rise to genetically differentiated subpopulations in incipient contact of relatively high genetic diversity. The roundworm, however, does not occur in all raccoon populations and might therefore be much less genetically diverse due to reduced propagule pressure. The overall objective of this study is to use population genetic techniques to analyse the genetic diversity and gene flow in the invasive nematode B. procyonis to understand the evolutionary potential of the parasite and allow the implementation of successful control programmes. We aim in particular to establish how frequently the parasite was introduced into Western Europe, to estimate the geographic origin of the introduced parasites, to examine the changes in genetic diversity during the invasion process and to the landscape genetic structure of the raccoon and its roundworm in parallel. Supervisor at university: Prof. Dr. Danuta Kosik-Bogacka, Department of Biology and Medical Parasitology, Pomeranian Medical University, Powstancow Wielkopolskich 72, 70-111 Szczecin, Poland. Supervisor in Luxembourg: Dr. Alain Frantz, Scientific Research Centre of the National Museum of Natural History, Luxembourg. Postdoc granted by Fonds national de la recherche Luxembourg. Duration: 2 years (01.11.2014 – 31.10.2016). Danków R., Pikul J., Lasik A., Teichert J., OSTEN_SACKEN N., 2010. The functional properties and microbiological quality of koumiss liophilisates. Probiotyki w żywności. Polskie Towarzystwo Technologów Żywności, Wydawnictwo Naukowe PTTŻ: 237- 251. OSTEN-SACKEN, N. Rychlik L., 2011. Diät vom Marderhund (Nyctereutes procyonoides) in Westpolen- erste Ergebnisse. Beiträge zur Jagd und Wildforschung, Bd. 36: 171-180. OSTEN-SACKEN, N. Rychlik L., 2011, Erste Ergebnisse radiotelemetrischer Untersuchungen zur Raumnutzung von Marderhunden (Nyctereutes procyonoides) in Westpolen. Beiträge zur Jagd und Wildforschung, Bd. 36: 181-189. OSTEN-SACKEN N., Ziomek J. Kardynia P., Zgrabczyńska E., 2011. Distribution of the raccoon dog (Nyctereutes procyonoides) in western Poland. Fragmenta Faunistica 54 (1) 95-102. Danków R., Pikul J., OSTEN-SACKEN N., Teichert J., 2012. Characteristics and salubrious properties of mare milk. Nauka Przyroda Technologie, 6 (2):1-12, www. npt.up-poznan.net. Danków R., Pikul J., Teichert J., OSTEN-SACKEN N., 2013. Characteristics and properties of koumiss. Nauka Przyroda Technologie, 7, (3)#35:1-16. www. npt.up-poznan.net. Danków R., Teichert J., Pikul J.,OSTEN-SACKEN N., 2013. Properties of fermented beverages from modified cow᾽s milk. Nauka Przyroda Technologie, 7 (4) #70 :1-9. www. npt.up-poznan.net. Nowosad P., OSTEN-SACKEN N., Solarczyk P., 2013, Trichinella spiralis in road- killed raccoon dogs (Nyctereutes procyonoides). Annals of parasitology, Polish Parasitological Society, Volume 59, page 51. Słodkowicz Kowalska A., Pacoń J., Skrzypczak Ł., Werner A., OSTEN_SACKEN N.,Majewska A.C., 2013. Intestinal parasites of raccoon dog (Nyctereutes procyonoides) from western Poland. Annals of parasitology, Polish Parasitological Society, Volume 59, page 58. OSTEN-SACKEN N. (2002): Slots. The hidden abilities. Magazine of Life Sciences Salamandra Biuletyn PTOP Salamandra I-II (16): 35-36. OSTEN-SACKEN N., Ziomek J. (2004): Raccoon dog – a visitor from the Far East. Magazine of Life Sciences Salamandra I(18): 17-18. OSTEN-SACKEN N. (2005): The European Union and youth projects. Magazine of Life Sciences Salamandra I(20): 36-37. OSTEN-SACKEN N., Ziomek J. (2005): How our Western neighbors protect otters. Magazine of Life Sciences SalamandraII(21): 20-24. OSTEN-SACKEN N., Pastok D. and Rychlik L, 2008, The raccon dog and the raccoon as threats for the native fauna in western Poland – the study project and first results on the prey fauna [In: Abstracts book Protection of free-living mammal populations:20-21], 26-28.09., Zaklad Zoologii Systematycznej, Biologia Srodowiska UAM, Poznan, Poland. OSTEN-SACKEN N. and Rychlik L., 2008, Marderhund und Waschbär als Potentielle Gefahr für die einheimische Fauna – Einführungsuntersuchungen [In: Abstracts book Einwandernde Tierarten-wie sind wir darauf vorbereitet:7-8], 16-17.10., Branderburgische Akademie Schloss Criewen, Germany [in German]. 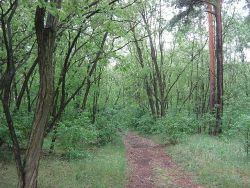 OSTEN-SACKEN N., Rychlik L., 2008, Cirkadian activity of the small mammals in the „Ujscie Warty“ National Park. Poster. Scientific session: behavioral sciences in Nencki Institut- traditions, present and future, 24.11., Nencki Institut of Experimental Biology, Warsaw, Poland. OSTEN-SACKEN N., Rychlik L., 2009, Differentiation of habitat and temporal niches among small mammals co-existing in the National Park “Ujscie Warty” western Poland, [in: Abstract Book :59], 5th “Ecology and Behaviour” Meeting, 6-10 April, Lyon, France. OSTEN-SACKEN, N., 2009, Parasitenbefall von Marderhunden im Nationalpark Warthemündung im Vergleich zu anderen polnischen Gebieten. Internationales Symposium der Gesellschaft für Wildtier und Jagdforschung „Wildhygiene, Wildtierkrankheiten, Parasiten, Epidemiologie“, 16-19 April, Friedrichsbrunn, Germany [in German]. OSTEN-SACKEN N., Rychlik, L., 2009, Is the invasive mammal raccoon dog Nyctereutes procyonoides the bigger threat for the native fauna than the native predators? [in: Abstract Book :111], poster. World Conference on Biological Invasions and Ecosystem Functioning, 27-30 October, Porto, Portugal. OSTEN-SACKEN N., Górska K., Rychlik L., 2011, Diet of the raccoon dog (Nyctereutes procyonoides) in western Poland – preliminary results, [in; Abstract book Konferencja Naukowo-Dydaktyczna Wydzialu Biologii. Wyzwania wspólczesnej biologii, biotechnologii i ochrony srodowiska:76], poster., Adam Mickiewicz University 5-7 April. OSTEN-SACKEN N., Bednarz P., Rychlik L., 2011, Diet of the stone marten (Martes foina) in western and northern Poland, [in; Abstract book Konferencja Naukowo-Dydaktyczna Wydzialu Biologii. Wyzwania wspólczesnej biologii, biotechnologii i ochrony srodowiska:62], poster., Adam Mickiewicz University 5-7 April. OSTEN-SACKEN N., Rychlik L., 2011, Radiotelemetrische Untersuchung zur Raumnutzung des Marderhundes (Nyctereutes procyonoides) in Westpolen, Intenationales Symposium (20 Jahre Gesellschaft für Wildtier und Jagdforschung, PopulationsÖkologie von Raubsäugerarten, Camp Reinsehlen, April 7-10 ,Germany. OSTEN-SACKEN N., Rychlik L., 2011, Diät des Marderhundes (Nyctereutes procyonoides) in Westpolen, poster. Intenationales Symposium (20 Jahre Gesellschaft für Wildtier und Jagdforschung, PopulationsÖkologie von Raubsäugerarten, Camp Reinsehlen, April 7-10 ,Germany. OSTEN-SACKEN N, Rychlik L., 2011, Habitat Using, home range and activity patterns of the invasive mammal raccoon dog (Nyctereutes procyonoides) in western Poland [in Abstract book: 23] 7th Ecology and Behaviour meeting , Rennes, May 2-6, France. OSTEN-SACKEN, Górska K, Rychlik L., 2011, Composition of the food of stone marten (Martes foina) in Gorzów Wielkopolski, Poland and Slowinski National Park, Poland, [in Abstract book: 94], poster. 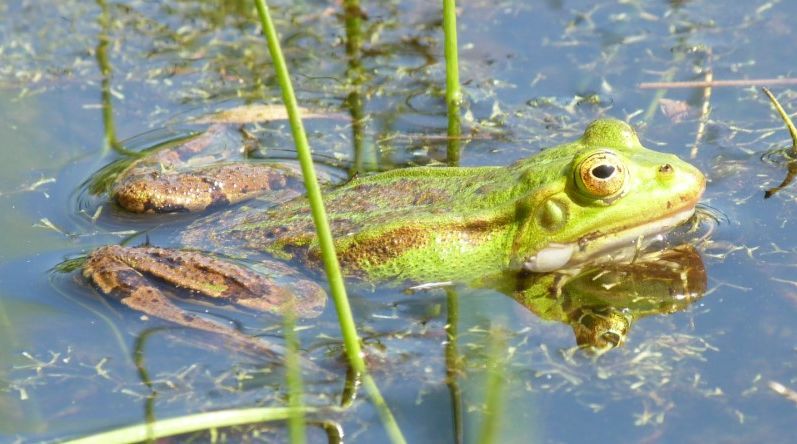 7th Ecology and Behaviour meeting , Rennes, May 2-6, France. OSTEN-SACKEN, Górska K., Rychlik L., 2011, Food composition of the raccoon dog (Nyctereutes procyonoides) in western Poland – preliminary results, [in Abstract book:102] poster. 7th Ecology and Behaviour meeting , Rennes, May 2-6, France. Danków R, Pikul, J, OSTEN-SACKEN N., 2011, Effect of lactation on the some milk physicochemical traits of polish cold blood breed mares, poster. IDF International Symposium on sheep, goat and other non -cow milk. 16-18 may, Athens, Greece. OSTEN-SACKEN N., 2012, Marderhund in Polen: Bedrohung für die einheimische Fauna? Untersuchungen und Ergebnisse. 9. Fachtagung Jagd und Artenschutz, 9-10 March, Jena, Germany. OSTEN-SACKEN N., Rychlik L., 2013, Diet of the raccon dog (Nyctereutes procyonoides ) from western Poland, based on stomach contents and feces analyses, [in: Abstract book: 95]. 11th International Mammalogical Congress, Queens University of Belfast ,11-16 August. OSTEN-SACKEN N, Rychlik L., 2013, Parasites from feces and intestines of the raccoon dog (Nyctereutes procyonoides), including species dangerous for people, [in: Abstract book: 137] 11th international Mammalogical Congress, Queens University of Belfast, 11-16 August. Slodkowicz- Kowalska A., Pacon J., Skrzypczak L., Werner A., OSTEN-SACKEN N., 2013, The intestines parasites of the raccoon dog (Nyctereutes procyonides) from western Poland. The XXIIIth Congress of the Polish Parasitological Society, 4-7 September, Szklarska Poreba –Piechowice, Poland. Nowosad P., OSTEN-SACKEN N., Solarczyk P., 2013, Trichinella spiralis by road-killed raccoon dogs (Nyctereutes procyonoides), The XXIIIth Congress of the Polish Parasitological Society, 4-7 September, Szklarska Poreba –Piechowice, Poland. Does Robinia pseudoacacia pose a threat to certain native European woodland communities in certain regions? 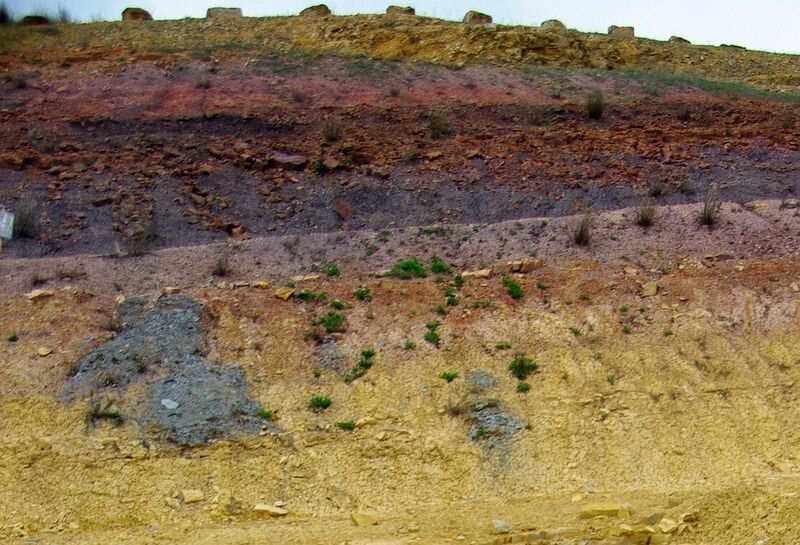 Does it change soil factors in a way to favour other alien species and to change biodiversity? Is there a difference between urban and rural stands? PhD granted by Fonds national de la recherche Luxembourg. Duration: 3 years (01.08.2013 – 31.07.2016). Steil, Y., 2013. The distribution and ecology of Lamium galeobdolon ssp. in Luxembourg and Europe. Diploma theses, University of Bonn, Germany. ii + 27 p.
Steil, Y., 2013. The distribution and ecology of Lamium galeobdolon ssp. in Luxembourg and Europe. Talk, réunion des collaborateurs scientifiques, 16.3.2013. Ries C., Y. Steil & P. Thommes, 2013. Common ragweed (Ambrosia artemisiifolia L.) seeds in bird food in Luxemburg in 2007 and 2012. Poster, réunion des collaborateurs scientifiques, 16.3.2013. Ries, C., Y. Steil, M. Pfeiffenschneider, 2013. Survey amongst physicians in Luxembourg on burns caused in 2011 and 2012 by the giant hogweed (Heracleum mantegazzianum SOMMIER & LEVIER, Apiaceae). Poster, réunion des collaborateurs scientifiques, 16.3.2013. Habitat fragmentation has been recognised as one of the key threats to wildlife worldwide. Protected areas are usually considered to be the cornerstone of biological conservation as they are expected to represent the best areas available to ensure the persistence of biodiversity and thereby counteract the negative effects of fragmentation and habitat loss. However, existing protected areas, particularly in Europe, are often too small to maintain viable populations and it has been suggested that the interconnectivity of protected areas should be considered of the same importance as the sites themselves. Preserving, improving and restoring connectivity and movement corridors in fragmented landscapes are therefore essential elements in any conservation strategy. Recently, researchers have started to relate gene-flow patterns to landscape features in order to assess the extent to which landscape elements hinder or facilitate the movement of individuals. The main objective of this study is to use genetics-based resistance surfaces to perform rigorous landscape connectivity analyses in order to test how well regional sets of protected areas in Europe are integrated into functional ecological networks. While these landscape genetic approaches provide a key foundation for rigorous analysis of landscape resistance to movement, there are, however, a number of important basic questions related to optimal study design where additional research is needed to advance the field of landscape genetics and to make outputs for conservation planning more robust. Specifically, working on three mammal species, I want to (a) replicate species-specific landscape genetic analyses across multiple European study areas to test if the same landscape features are found to be influencing gene flow in different regions, (b) perform landscape genetic analyses on co-distributed species to test if the same landscape features are found to be influencing gene flow in different species in the same study area, (c) assess the influence of sample size on which landscape features are found the be influencing gene flow and (d) use the results from the landscape genetic analyses to derive empirically-validated movement corridors (for individual & multiple species) and to assess how well these are integrated into established protected area networks. Supervisor at university: Prof. Dr. Niko Balkenhol, Forest Zoology & Forest Conservation, University of Göttingen. Supervisor in Luxembourg: Edmée Engel, curator, section zoologie des vertébrés, National Museum for Natural History, Luxembourg. Postdoc granted by Fonds national de la recherche Luxembourg. Duration: 2 years (01.11.2012 – 31.10.2014). Frantz, A.C, Massei, G. & T. Burke, 2012. Genetic evidence for past hybridisation between domestic pigs and English wild boars. Conservation Genetics 13: 1355-1364. Frantz, A.C., Bertouille, S., Eloy, M.C., Licoppe, A.,Chaumont, F. & M.C. Flamand, M.C., 2012. Comparative landscape genetic analyses show a Belgian motorway to be a gene flow barrier for red deer (Cervus elaphus), but not wild boars (Sus scrofa). Molecular Ecology 21: 3445-3457. Raisin, C., Frantz, A.C., Kundu, S., Greenwood, A., Jones, C.G., Zuel, N. & J.J. Groombridge, in press. Genetic consequences of intensive conservation management for the Mauritius parakeet. Conservation Genetics 13: 707-715. Dellicour, S., Frantz, A.C., Colyn, M., Bertouille, S., Chaumont, F. & M.C. Flamand, 2011. Population structure and genetic diversity of red deer (Cervus elaphus) in forest fragments in north-western France. Conservation Genetics 12: 1287-1297. Balestrieri, A., Remonti, L., Frantz, A.C., Capelli, E., Zenato, M., Dettori, E.E., Guidali, F & C. Prigioni, 2010. Efficacy of passive hair-traps for the genetic sampling of a low-density badger population. Hystrix 21: 137-146. Frantz, A.C., Do Linh San, E., Pope, L.C. & T. Burke, 2010. Using genetic methods to investigate dispersal in two badger (Meles meles) populations with different ecological characteristics. Heredity 104: 493-501. Frantz, A.C., Pope, L.C., Etherington, T.R., Wilson, G.J. & T Burke, 2010. Using isolation-by-distance-based approaches to assess the barrier effect of linear landscape elements on badger (Meles meles) dispersal. Molecular Ecology 19: 1663-1674. Bourke, B.P., Frantz, A.C., Lavers, C.P., Davison, A., Dawson, D.A. & T.A. Burke, 2010. Genetic signatures of population change in the British golden eagle (Aquila chrysaetos). Conservation Genetics 11: 1837-1846. Jan, C.M.I., Frith, K., Glover, A.M., Butlin, R.K., Scott, C.D., Greenaway, F., Ruedi, M., Frantz, A.C., Dawson, D.A. & J.D. Altringham, 2010. Myotis alcathoe in the UK. Acta Chiropterologica 12: 471-483. Frantz, A.C., Schley, L., Schaul, M., Balestrieri, A. & T.J. Roper, 2010. Spatial organisation of badgers (Meles meles) in a medium-density population in Luxembourg. Hystrix 21: 3-18. Guillot, G., Leblois, R., Coulon, A. & A.C. Frantz, 2009. Statistical methods in spatial genetics. Molecular Ecology 18: 4734-4756. Frantz, A.C., Proess, R., Burke, T. & L. Schley, 2009. A genetic assessment of the two remnant populations of the natterjack toad (Bufo calamita) in Luxembourg. Herpetological Journal 19: 53-59. Wright, J.A., Barker, R.J., Schofield, M.R., Frantz, A.C., Byrom, A.E. & D.M. Gleeson, 2009. Incorporating genotype uncertainty into mark-recapture-type models for estimating abundance using DNA samples. Biometrics: 65, 833-840. Evans, K.L., Gaston, K.J., Frantz, A.C., Simeoni, M., Sharp, S.P., McGowan, A., Dawson, D.A., Walasz, K., Partecke, J., Burke, T. & B.J. Hatchwell, 2009. Independent colonization of multiple urban centres by a formerly forest specialist bird species. Proceedings of the Royal Society B 276: 2403-2410. Frantz, A.C., Cellina, S., Krier, A., Schley, L. & T. Burke (2009) Using spatial Bayesian methods to determine the genetic structure of a continuously distributed population: clusters or isolation by distance? Journal of Applied Ecology 46: 493-505. Schley, L., Dufrêne, M., Krier, A. & A.C. Frantz, 2008. 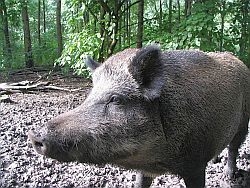 Patterns of crop damage by wild boar (Sus scrofa) in Luxembourg over a 10-year period. European Journal of Wildlife Research 54: 589-599. Huck, M., Frantz, A.C., Dawson, D.A., Burke, T. & T.J. Roper, 2008. Low genetic variability, female-biased dispersal and high movement rates in an urban population of badgers. Journal of Animal Ecology 77: 905-915. Frantz, A.C., Hamann, J.-L. & F. Klein, 2008. Fine-scale genetic structure of red deer (Cervus elaphus) in a French temperate forest. European Journal of Wildlife Research 54: 44-52. Scheppers, T.L.J., Frantz, A.C., Schaul, M., Engel, E., Breyne, P., Schley, L. & T.J. Roper, 2007. Estimating social group size of Eurasian badgers by genotyping remotely plucked single hairs. Wildlife Biology 13: 195-207. Frantz, A.C., Tigel Pourtois, J., Heuertz, M., Schley, L., Flamand, M.C., Krier, A., Bertouille, S., Chaumont, F. & T. Burke, 2006. Genetic structure and assignment tests demonstrate illegal translocation of red deer (Cervus elaphus) into a continuous population. Molecular Ecology 15: 3191-3203. Frantz, A.C. & T.J. Roper, 2006. Simulations to assess the performance of different rarefaction methods in estimating population size using small datasets. Conservation Genetics 7: 315-318. Frantz, A.C., Fack, F., Muller, C.P. & T.J. Roper, 2006. Faecal DNA typing as a tool for investigating territorial behaviour of badgers (Meles meles). European Journal of Wildlife Research 52: 138-141. Frantz, A.C., Cyriacks, P. & L. Schley, 2005. Spatial behaviour of a female raccoon (Procyon lotor) at the edge of the species’ European distribution range. European Journal of Wildlife Research 51: 126-130. Frantz, A.C., Schaul, M., Pope, L.C., Fack, F., Schley, L., Muller, C.P. & T.J. Roper, 2004. Estimating population size by genotyping remotely plucked hair: the Eurasian badger. Journal of Applied Ecology 41: 985-995. Pocock, M.J.O., Frantz, A.C., Cowan, D.P., White, P.C.L. & J.B. Searle, 2004. Tapering bias inherent in minimum number alive (MNA) population indices. Journal of Mammalogy 85: 959-962. Frantz, A.C., Pope, L.C., Carpenter, P.J., Roper, T.J., Wilson, G.J., Delahay, R.J. & T. Burke, 2003. Reliable microsatellite genotyping of the Eurasian badger (Meles meles) using faecal DNA. Molecular Ecology 12: 1649-1661. Wilson, G.J., Frantz, A.C., Pope, L.C., Roper, T.J., Burke, T.A., Cheeseman, C.L. & R.J. Delahay, 2003. Estimation of badger abundance using faecal DNA typing. Journal of Applied Ecology 40: 658-666. Frantz, A.C. & A. Krier, 2007. Further evidence for illegal translocation of red deer (Cervus elaphus) in Luxembourg. Beiträge zur Jagd- und Wildforschung 32: 339-344. Frantz, A.C., Zachos, F.E., Šprem, N., Kühn, R., Skog, A., Colyn, M., Chaumont, F. & M.C. Flamand, 2011. Identification of illegally introduced deer and their source populations: a European perspective. Vortrag zum VIth European Congress of Mammalogy, Paris, 07/2011. Frantz, A.C., Massei, G. & T. Burke, 2011. Genetic evidence for past hybridisation between illegally reintroduced English wild boar and domestic pigs. Poster zum 13th Congress of the European Society for Evolutionary Biology, Tübingen, 08/2011. Frantz, A.C., Zachos, F.E., Šprem, N., Kühn, R., Skog, A., Colyn, M., Chaumont, F. & M.C. Flamand, 2011. Identification of illegally introduced deer and their source populations: a European perspective. Vortrag zur 8th International Conference on Behaviour, Physiology and Genetics of Wildlife, Berlin, 09/2011. Frantz, A.C.: Genes in the landscape: potential and pitfalls of statistical methods in spatial genetics. Vortrag zum 19th International Symposium Animal Science Days, Primošten, 09/2011. Frantz, A.C., Bertouille, S., Eloy, M.C., Prévot, C.,Licoppe, A. & M.C. Flamand, 2011. Comparative landscape genetics of two ungulate species: does sample size affect the outcome of clustering methods? Vortrag zur International Conference in Landscape Genetics. Białowieża, 10/2011. Frantz, A.C., Bertouille, S., Eloy, M.C., Prévot, C.,Licoppe, A. & M.C. Flamand: Comparative landscape genetics of two ungulate species: does sample size affect the outcome of clustering methods? Vortrag zur Tagung der Vereinigung der Wildbiologen und Jagdwissenschaftler Deutschlands (VWJD), Freising, 10/2011. Full title: Macroevolutionary pattern of belemnites (Mollusca, Cephalopoda) from the Lower Jurassic: a multidisciplinary approach. It is now widely assumed that the current erosion of biodiversity is a significant phenomenon in Earth’s history. Understanding the dynamics of past extinctions seems crucial if we are to put the attrition of biodiversity into perspective. Since the pioneering work of Raup & Sepkoski, many palaeontological studies examined the role of extinction selectivity on macroevolutionary patterns in relation to the geographical range, life-span, morphology and ecology of taxa. Palaeontology tends to adopt an approach of methodological uniformitarianism by appealing to causes observable at the present time, before seeking extraordinary explanations for observed evolutionary patterns. The present project basically aims to contribute to this topic, using paleontological data as palaeobiodiversity model. Its main interest is to explore biodiversity through time, which is obviously not possible for present taxa based studies. The present project focuses on belemnites (Mollusca, Cephalopoda), which have surprisingly never been studied in this context, and will focus on the Pliensbachian–Toarcian period (~190–175 Ma), which encompassed one of the most important marine crises of the Mesozoic, affecting groups such as ostracods, foraminifers and ammonites. 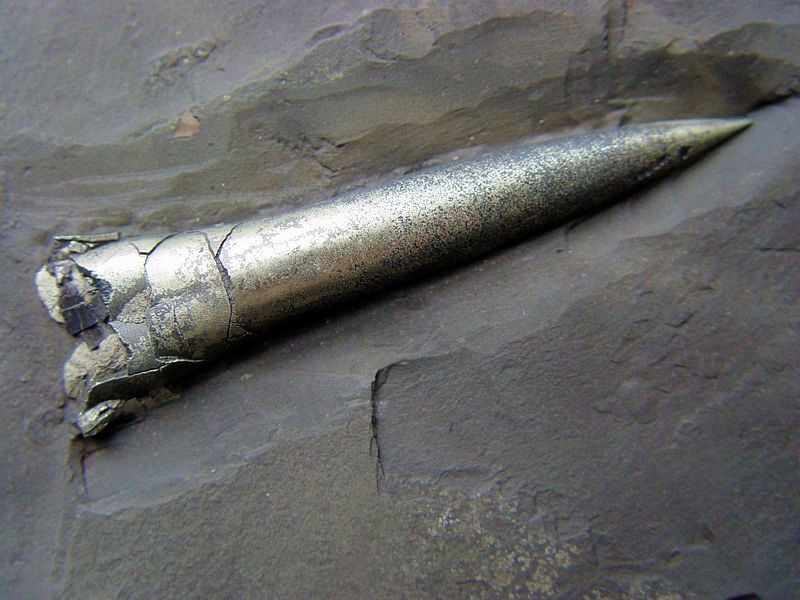 What are the main macroevolutionary patterns of belemnites during this period? Are there any biogeographical pattern changes during the studied period? What are the palaeoenvironmental and biological triggers of macroevolutionary and biogeographical changes? Are the patterns different from those observed for other taxa, and specially ammonites? However, reaching these main objectives imply to get a good knowledge of belemnites species for the studied period. Recent results based on taxonomic revision or quantification of intra- and interspecific variations call for a reappraisal of species, particularly taking into account shape variation for their recognition. For this reason, the present project explicitly includes a first step of basic studies of belemnites in order to get a homogeneous database, based on a reappraisal of species. This is the first objective to reach before addressing macroevolutionary questions. Finally, these nektonic cephalopods, are widely used to constrain palaeoenvironments using the isotopic signal of their rostrum. A reappraisal of species definition, and a better knowledge of their ecology will obviously conduct to have a fresh view on geochemistry interpretation. 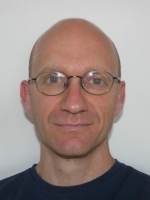 Supervisor at university: Prof. Dr. Pascal Neige, Laboratory Biogeosciences (UMR CNRS/uB 5561), University of Burgundy, Dijon. Supervisor in Luxembourg: Robert Weis, Paleontological Department, National Museum for Natural History, Luxembourg. Pinard, J.D., 2010. Biometric and morphometric study of a population of Youngibelus (Belemnitida) from early Toarcian (Lower Jurassic). 1st year Master-thesis, University of Burgundy (Dijon). Pinard, J.D., 2011. Morphological quantification and isotopic analysis of a belemnites assemblage from Toarcian (Lower Jurassic). Master-thesis, University of Burgundy (Dijon). Pinard, J.D. & Neige, P., 2011. Morphological quantification of belemnites rostra, Toarcian (Lower Jurassic). Abstract volume of the 4th International Symposium Coleoid Cephalopods Through Time. The biological diversity of montane regions may be threatened by predicted climate change. Low mountain species frequently cannot respond to climate change by migrating upward, but only by plasticity or genetic adaptation. Predicted climate change will not only result in changed environmental conditions, but also affect biotic interactions. 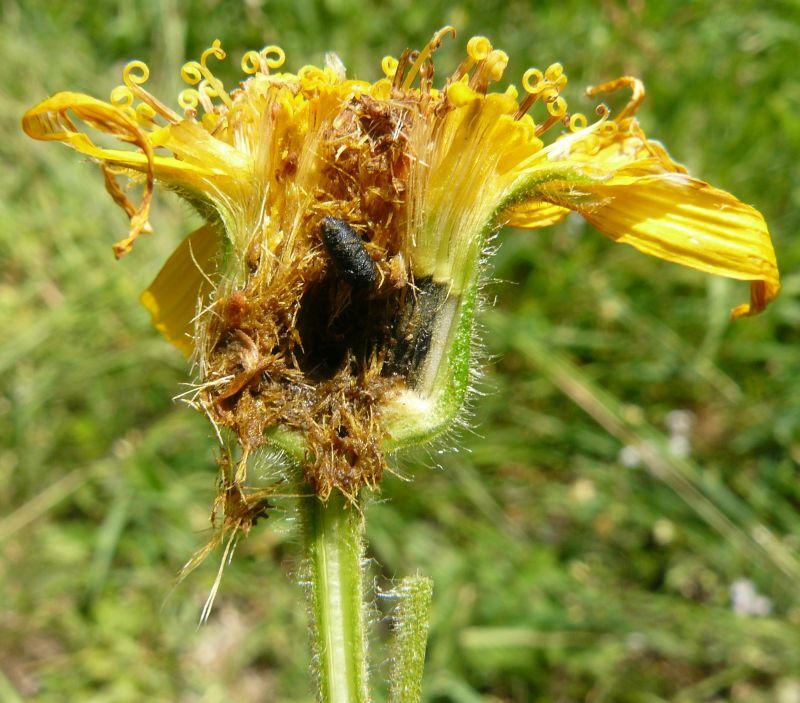 The aim of this project is to study the possible impact of climate change on the interactions of the threatened plant species Arnica montana with both generalist herbivores and a specialised parasite, the seed fly Tephritis arnicae. 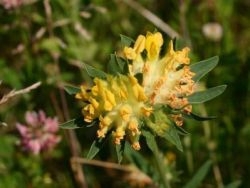 We will investigate the impact of herbivory and parasitism on the model species A. montana along an altitudinal gradient, investigate defenses against herbivores using metabolomic profiles, and experimentally study how plant-animal interactions would be affected under predicted climatic change. Population sizes of generalist herbivores are foreseen to increase in upland regions which may threaten the survival of mountain populations of plants that may be less defended against herbivores than lowland populations. We will also study genetic variation in metabolomic profiles and herbivore resistance among and within populations and its importance for adaptation to changed conditions. The population biology of A. montana is currently studied in a PhD project (AFR FNR Grant) hosted by the MNHNL. The proposed PhD project will take advantage of the knowledge about the population biology and quantitative genetics of A. montana obtained in this study and use two common garden experiments already set up at high and low altitudes. The expected results of the project will contribute to a better understanding of the genetic and metabolomic diversity of rare and endangered species and its importance under the scenario of projected climate change. The outcomes will also have implications for the conservation and management of biodiversity and allow a better understanding of the role of systems biology in biodiversity conservation. Supervisor at university: Prof. Dr Diethart Matthies, Department of Ecology, Faculty of biology, Philips University of Marburg. Supervisor in Luxembourg: Dr Guy Colling, Department of population biology, National Museum of Natural History Luxembourg. PhD granted by Fonds national de la recherche Luxembourg. Duration: 3 years (01.10.2010 – 30.09.2013). Extension period granted until 2014. Pepin C (2006) Catalytic intramolecular hydroamination of activated olefins. Master thesis, Université catholique de Louvain (UCL). Full title: Spatiotemporal changes and current consistency of the Cerambycofauna of Luxembourg for purposes of biodiversity conservation and forestry management. The Cerambycidae is a family of phytophagous Coleoptera widespread in Europe with ~550 species. Their larvae are mostly xylophagous or even saproxylic, acting as primary decomposers of dead or senescent trees. 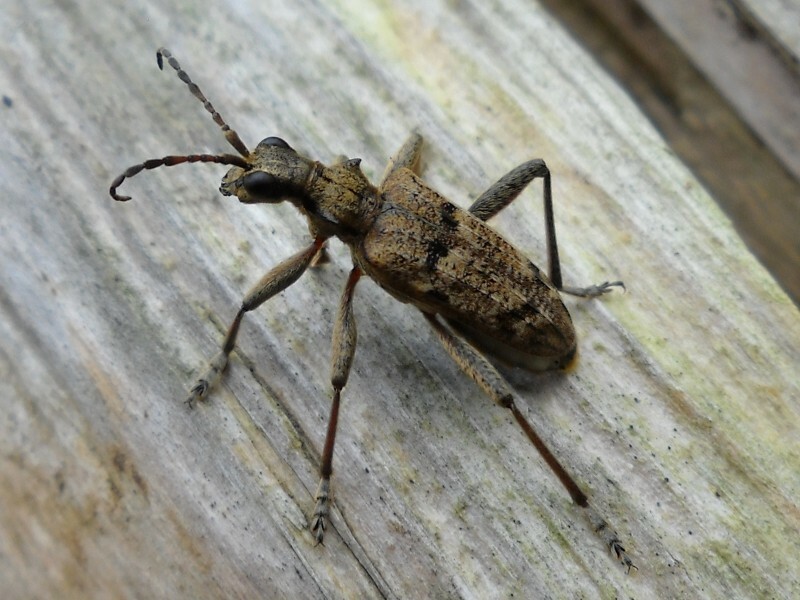 Since some species also have moderate size and pluriannual larval development, Cerambycids are considered high bioindicators of the state of forest health, having become a target group for many research programs in biodiversity and wildlife ecosystems in Europe and abroad. Moreover, several species are protected by Natura-2000 and the law of several European countries. A small number of cerambycids are synanthropic, attacking building woods, sometimes with dramatic consequences. The remaining species are related to living plants, some having great economical importance. In spite of this, knowledge of the Luxembourgian fauna is still at an early stage not being listed in a local catalogue yet and its biogeographical location being still unknown. The purpose of this project is to improve knowledge on biodiversity, consistency and biogeographical significance of the Luxembourgian cerambycofauna through study of the existing collections, research in the field, comparisons and statistical analyses of data. Species richness will be compared with that of the neighbouring biogeographical regions in order to investigate and understand the faunistic relationships among the different regions of the area around Luxembourg. 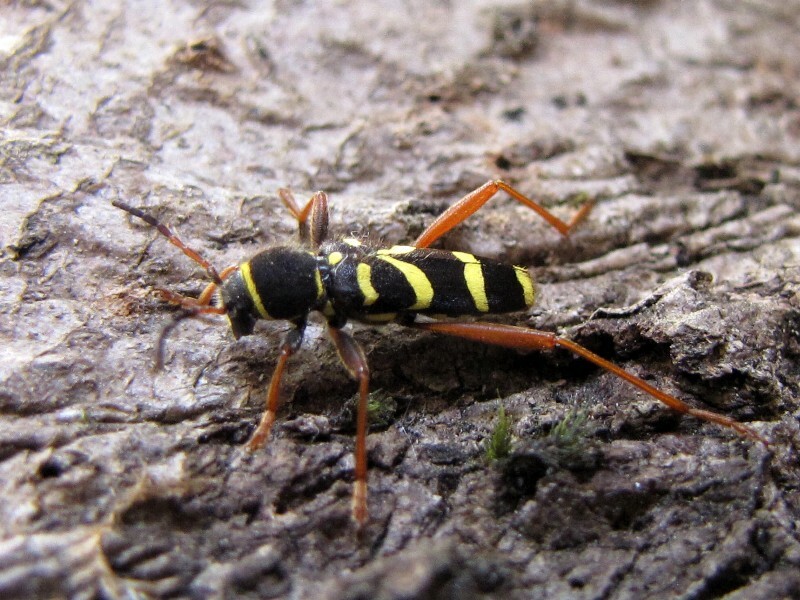 The cerambycid biodiversity will be analysed in time and compared with the changes observed over time in climate, vegetation and other groups of insects in order to understand the current quality of environment and individuate the causes of the observed variations. Possible ecological countermeasures will be individuated and proposed. These important environmental topics will be divulgated to the public through the first catalogue on the Cerambycoidea of Luxembourg, including description, colour plates, maps, known biology, importance to forestry, and all faunistic data and salient aspects from a historical-ecological point of view. Supervisor at university: Prof. Dr. Thomas Schmitt, Biogeography, Fachbereich VI, Geographie/Geowissenschaften , University Trier. Supervisor in Luxembourg: Jean-Michel Guinet, Scientifical collections/Entomology, Musée national d’histoire naturelle Luxembourg. PhD granted by Fonds national de la recherche Luxembourg. Duration: 3 years (01.04.2011-31.03.2014). Vitali, F., 1991. Segnalazioni faunistiche italiane, 190. Bollettino della Società entomologica italiana, 123 (1): 74. Vitali, F., 1995. Segnalazioni faunistiche italiane, 283-287. Bollettino della Società entomologica italiana, 127 (1): 68-69. Vitali, F., 1996. Segnalazioni faunistiche italiane, 309-312. Bollettino della Società entomologica italiana, 128 (1): 90. Vitali, F., 1998a. 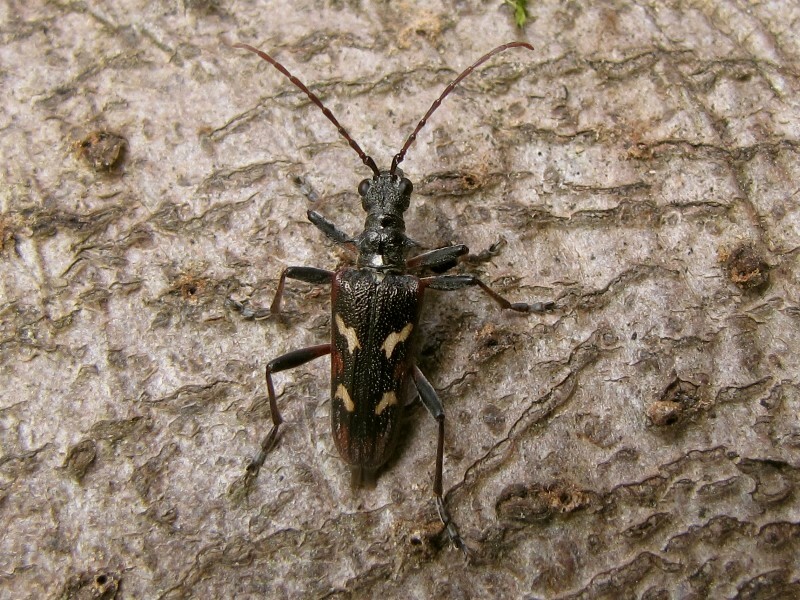 Nouvelle découverte de Phorachanta semipunctata (Fabricius) (Col. Cerambycidae). L’Entomologiste, 54 (6): 250. Vitali, F., 1998b. La figura del naturalista nell’indagine ricognitiva. Presenza tecnica, XXVI (2): 78. Vitali, F., 1999a. Il pericolo termiti per la cattedrale di Genova. Presenza tecnica, XXVII (2): 54-55. Vitali, F., 1999a. Nuovi dati corologici per alcune specie di Cerambicidi italiani (Coleoptera Cerambycidae). Doriana, VII (315): 1-6. Vitali, F., 1999b. Eine neue Trirachys-Art von den Philippinen (Coleoptera, Cerambycidae, Cerambycinae). Mitteilungen der Münchner entomologischen Gesellschaft, 89: 71-73. Vitali, F., 2000. Eine neue Cylindrepomus-Art von Malakka (Coleoptera, Cerambycidae). Entomofauna, 21 (21): 253-256. Vitali, F., 2001a. 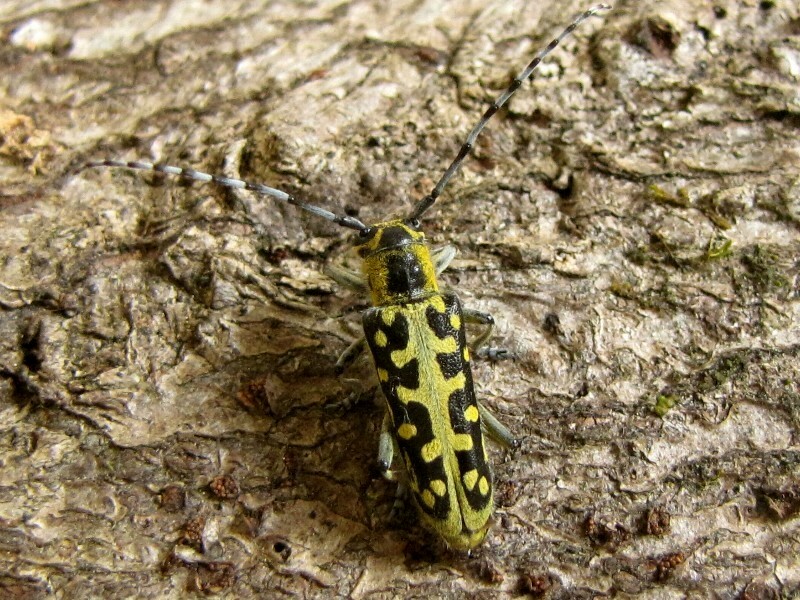 Description des œufs des espèces françaises du genre Cerambyx. (première contribution à l’étude des œufs des longicornes) (Coleoptera, Cerambycidae, Cerambycinae). Les Cahiers Magellanes, 4: 1-14. Vitali, F., 2001b. Vesperus ligusticus, nuova specie di cerambicide italiano (Coleoptera, Cerambycidae, Vesperinae). Lambillionea, CI (1): 149-152. Vitali, F., 2001c. Description de la larve de deux longicornes de Guadeloupe: Chaetanes fleutiauxi Villiers, 1980 et Leptostyloides assimilis (Gahan, 1895) (Coleoptera, Cerambycidae, Lamiinae, Acanthocinini). L’Entomologiste, 57 (3-4): 151-156. Vitali, F., 2002a. Versetzung der Tribus Holopterini Lacordaire, 1869 zur Unterfamilie Lepturinae (Coleoptera, Cerambycidae). Entomofauna, 23 (3): 29-33. Vitali, F., 2002c. Segnalazioni faunistiche italiane, 407. Bollettino della Società entomologica italiana, 133 (3): 272. Vitali, F. & L., Rezbanyai-Reser, 2003a. Beiträge zur Insektenfauna von Jamaika, Westindien (Karibik). 5. Bockkäfer, Teil I (Coleoptera Cerambycidae). Les Cahiers Magellanes, 26: 1-16. Vitali, F. & L., Rezbanyai-Reser, 2003b. Beiträge zur Insektenfauna von Jamaika, Westindien (Karibik). 5. Bockkäfer, Teil II (Folge)(Coleoptera Cerambycidae). Les Cahiers Magellanes, 27: 1-27. Vitali, F., 2004a. Pseudosieversia europaea new species from Baltic amber (Coleoptera, Cerambycidae, Lepturinae). Les Cahiers Magellanes, 35: 1 -8. Vitali, F., 2004b. Plectromerus tertiarius new fossil species from Hispaniola (Coleoptera, Cerambycidae, Cerambycinae). Lambillionea, CIV (3): 453-458. Vitali, F., 2004c. Palaeological consideration about a Paracorymbia hybrida (Rey, 1885) relict station (Coleoptera, Cerambycidae, Lepturinae). Biocosme Mesogéen, 20 (3-4): 137-144. Vitali, F., 2004d. Xylotrechus smei (Castelnau & Gory, 1841), its presence in Palaearctic region and description of the pupa (Coleoptera, Cerambycidae). Doriana, VII (340): 1-7. Vitali, F., 2005a. Vesperus strepens m. litigiosus Mulsant, 1862 new species for Italy (Coleoptera, Cerambycidae, Vesperinae). Lambillionea CV (2): 331-334. Vitali, F., 2005b. Notes about European fossil Lepturinae and the description of a new species (Coleoptera, Cerambycidae, Lepturinae). Lambillionea CV (4): 530-538. Vitali, F. & J., Touroult, 2005. Contribution à la connaisance des larves des longicornes des Antilles françaises (Coleoptera Cerambycidae). L’Entomologiste, 61 (2): 64-81. Vitali, F., 2006a. About Aenictosoma doenitzi Schaufuss, 1891 (Coleoptera, Cerambycidae, Scydmaenidae). Spixiana 29 (2): 99-101. Vitali, F., 2006b. 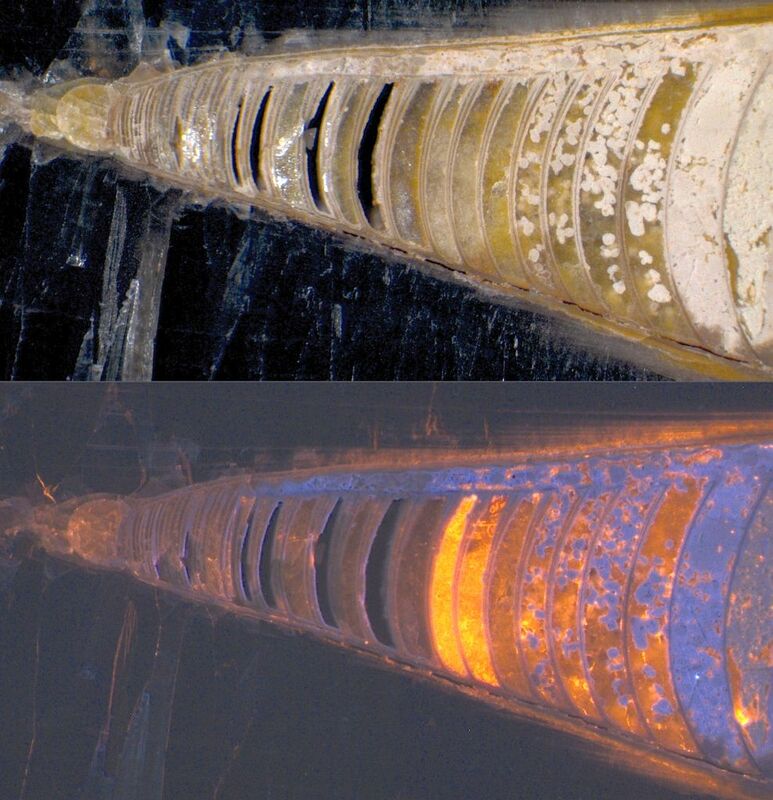 A new cerambycid from Dominican amber and remarks on the fossil Plectromerus-species (Coleoptera, Cerambycidae). Entomapeiron (P. S.) 1 (1): 1-12. Vitali, F., 2006c. About two Batrachorhina-species included in Malagasy copal (Coleoptera, Cerambycidae). Entomapeiron (P. S.) 1(2): 13-20. Vitali, F., 2006d. The real taxonomic position of Spondylis florissantensis Wickham, 1920 (Coleoptera, Cerambycidae). Entomapeiron (P. S.) 1(2): 21-27. Vitali, F., 2006e. Contribution à la connaissance des Nethinius malgaches (Coleoptera, Disteniidae). L’Entomologiste 62 (5-6) ): 175-178. Vitali, F., 2006f. Taxonomic, biological and evolutionistic notes on the Spondylidinae included in Baltic amber (Coleoptera, Cerambycidae). Entomapeiron (P. S.) 1 (3): 29-44. Vitali, F. & J., Touroult, 2006a. Contribution à la connaissance des états pré-imaginaux des longicornes de Guadeloupe (Coleoptera Cerambycidae). L’Entomologiste 62 (1-2): 3-6. Vitali, F. & J., Touroult, 2006b. Contribution à la connaissance des états pré-imaginaux des longicornes des Canaries (Coleoptera, Cerambycidae, Lamiinae). Lambillionea CVI (2): 193-201. Vitali, F., Wolf, K. W. & J., Haxaire, (2006). Biological and faunistic notes on the Jamaican population of Steirastoma histrionicum White, 1855 (Coleoptera, Cerambycidae). Lambillionea CVI (4): 661-667. Vitali, F., 2007a. A new species of Corticeus Piller & Mitterpacher, 1783 from Dominican amber (Coleoptera Tenebrionidae). Entomapeiron (P. S.) 2 (1): 1-6. Vitali, F., 2007b. About some sub-fossil Glaucytini included in Malagasy copal (Coleoptera, Cerambycidae). Entomapeiron (P. S.) 2 (1): 7-13. Vitali, F., 2007c. Short Notes I: Observations about another specimen of Pseudosieversia europaea Vitali, 2004 (Coleoptera Cerambycidae). Entomapeiron (P. S.) 2 (1): 14. Vitali, F., 2007d. Short Notes II: About the identity of Dorcadionoides subaeneus Motschulsky, 1857 (Coleoptera Cerambycidae). Entomapeiron (P. S.) 2 (1): 15-16. Vitali, F., 2007e. Anomalies multiples chez un exemplaire tératologique d’Acanthinodera cumingii (Hope, 1833) (Coleoptera Cerambycidae). L’Entomologiste 63 (2): 87-88. Vitali, F., 2007f. Notes and taxonomic corrections to the Beiträge von Insektenfauna von Jamaika, Cerambycidae (Coleoptera Cerambycidae) -Entomapeiron (N. S.) 1 (2): 37-59. Vitali, F., 2007g. A new fossil species of Elaphidion Audinet-Serville, 1834 with systematic notes on the Lamiinae from Dominican amber (Coleoptera Cerambycidae). Entomapeiron (P. S.) 2 (3): 29-39. Vitali, F., 2007h. Short notes III: The taxonomic position of Haplocnemia sophiae Statz, 1938 (Coleoptera Cerambycidae). Entomapeiron (P. S.) 2 (3): 40. Vitali, F., 2007i. About the taxonomic status of some species of the genus Aeolesthes Gahan, 1890 (Coleoptera Cerambycidae). Entomapeiron (N. S.) 1 (3): 65-80. Vitali, F., & Casadio, C. A., 2007. Contribution to the Cerambycid Fauna of the Solomon Islands (Coleoptera Cerambycidae). Entomapeiron (N. S.) 1 (1): 1-36. Vitali, F. & J., Haxaire, 2007. A new species of Plectromerus Haldeman from Jamaica (West-Indies) (Coleoptera Cerambycidae). Entomapeiron (N. S.) 1 (2): 60-64. Bellés, X. & F., Vitali, 2007. New fossil spider beetles from Baltic amber (Coleoptera Ptinidae). Entomapeiron (P. S.) 2 (2): 17-28. Vitali, F., 2008a. Systematic revision of the fossil cerambycids from Geiseltal (Coleoptera Cerambycidae). Entomapeiron (P. S.) 3 (1): 1-10. Vitali, F., 2008b. A new species of Tyrtaeus Champion, 1913 from Dominican amber (Coleoptera Tenebrionidae). Entomapeiron (P. S.) 3 (1): 11-15. Vitali, F., 2008c. Taxonomic and faunistic notes about the genus Olethrius Thomson, 1860 (Coleoptera Cerambycidae). Entomapeiron (N. S.) 2 (1): 1-32. Vitali, F., 2009a. Two new longhorned beetles from Dominican amber (Coleoptera, Cerambycidae). Denisia 69: 223-230. Vitali, F., 2009b. The cerambycids included in Baltic amber: current knowledge status with the description of new taxa (Coleoptera, Cerambycidae). Denisia 69: 231-242. Vitali, F., 2009c. About some interesting fossil and sub-fossil Cerambycids of the collection Velten (Coleoptera, Cerambycidae) – Lambillionea CIX (3): 352-357. Vitali, F. & Nagirnyi, V., 2009. Nemophas ramosi Schultze, 1920, a forgotten Philippine species (Coleoptera, Cerambycidae). Lambillionea CIX (4): 470-475. Vitali, F., 2010b. Taxonomic and synonymic notes about some Indonesian species of the genus Acalolepta Pascoe, 1858 (Coleoptera: Cerambycidae, Lamiini). Suara Serangga Papua 4 (4): 94-98. Vitali, F., 2010c. Taxonomic and Faunistic notes about some Asian cerambycids belonging to the national museum of natural history of Luxembourg (Coleoptera, Cerambycidae). Lambillionea CX (2): 179-184. Vitali, F., 2010d. Catalogue of the types of the Cerambycoidea of the National Museum of Natural History of Luxembourg. Annales de la Societé entomologique de Belgique 80: 109-126. Vitali, F., 2010e. A new fossil species of the genus Stizocera Audinet-Serville, 1834 from Dominican amber (Coleoptera, Cerambycidae). Lambillionea CX (3): 340-343. Haller, P. & Vitali, F., 2010. Une nouvelle espèce de Pachydissus Newman, 1838 (Coleoptera, Cerambycidae). Lambillionea CX (2) : 263-266. Vitali, F. & H., Menufandu, 2010. A new species of Protilema Aurivillius, 1908 (Coleoptera: Cerambycidae, Morimopsini) from Waigeo Island, New Guinea. Suara Serangga Papua 4 (4): 89-93. Vitali, F., 2011a. Six new fossil Cerambycids included in Baltic and Saxon amber (Coleoptera Cerambycidae). Entomapeiron (P. S.) 4 (1): 1-34. Vitali, F., 2011b. Short Notes IV. Saperdopsis robusta Schmidt, 1967: an extant Chinese species? (Coleoptera Cerambycidae). Entomapeiron (P. S.) 4 (1): 35-36. Vitali, F., 2011c. Un nouveau Callichromatini de la République démocratique du Congo (Coleoptera Cerambycidae Cerambycinae). L’Entomologiste 67 (2): 91–93. Vitali, F., 2011d. Systematic, taxonomic and faunistic notes about some African cerambycids belonging to the National Museum of Natural History of Luxembourg (Coleoptera, Cerambycidæ). Entomologia Africana 16 (1): 2-12. Vitali, F., 2011e. Une nouvelle espèce d’Acanthocinus du Portugal (Coleoptera, Cerambycidae). Lambillionea CXI (2): 161-164. Vitali, F., 2011f. Notes on the genus Acalolepta Pascoe, 1858 (Coleoptera: Cerambycidae) from Indonesian Papua and the Moluccas. Wallacea 1: 291-297 + Pl. 40-43. Vitali, F., 2011g. Observations faunistiques sur les Cérambycidés luxembourgeois conservés dans la collection du Musée national d’histoire naturelle de Luxembourg (Coleoptera, Cerambycidae). Lambillionea CXI (3): 278-284. Casadio, C. A. & F., Vitali, 2011. Faunistic notes about an entomological survey to Kepulauan Biak, Papua (Coleoptera: Cerambycidae). Suara Serangga Papua 5 (3): 92-98. Juhel P. & Vitali, F., 2011. Contribution à l’étude des Callichromatini Africains (5e Note): les types de Hintz. (Coleoptera, Cerambycidae, Cerambycinae). Les Cahiers Magellanes N.S. 4 (1): 1-22. Vitali, C. & F., Vitali, 2011. Révision du sous-genre Ochropyga Aurivillius, 1913 (Coleoptera, Cerambycidae, Lamiinae, Prosopocerini). Les Cahiers Magellanes N.S. 4 (1): 23-30. Vitali, F., Drumont, A. & J. L., Renneson, 2012. Note sur la distribution de Protaetia (Liocola) marmorata (Fabricius, 1792) au Grand-duché de Luxembourg (Coleoptera, Scarabaeidae, Cetoniinae). Cetonimania N.S. 3: 14-19. Vitali, F., 2012a. Les espèces de Meloe L., 1758 au Grand-Duché de Luxembourg (Coleoptera, Meloidae). L’Entomologiste 68 (1): 49–52. Vitali, F., 2012b. Nouvelles données faunistiques sur les Longicornes du Grand-Duché de Luxembourg (Coleoptera, Cerambycidae). Lambillionea CXII (3): 235-240. Perger, R. & F., Vitali, 2012. Revision of the genus Megacriodes Pascoe, 1866, a new synonym of Batocera Laporte de Castelnau, 1840 (Coleoptera, Cerambycidae, Lamiinae). Les Cahiers Magellanes N.S. 7: 1-17. Vitali, F. & C., Vitali, 2012. Notes faunistiques et taxonomiques concernant quelques espèces de Lamiaires Africains (Coleoptera, Cerambycidae). Lambillionea CXII (1): 7-10. Vitali, F., 1992. The family Cerambycidae. Genoa University, Department of Zoology, Genoa, Italy 05/92. Vitali, F., 1998. The ultrasounds employment in the research about the materials: the wood decay. Polytechnic, Faculty of Architecture, Turin, Italy, 11/05/98. Vitali, F., 1999. The analysis of the wood and the concrete decay. Polytechnic, Faculty of Architecture, Turin, Italy, 11/05/99. Vitali, F., 2007a. Between earth and sea, biodiversity in the Cinque Terre National Park. Insects: a park in miniature to be defended and discovered. Conference hall of Torre Guardiola, Riomaggiore, La Spezia, Italy, 11/05/07. Vitali, F., 2007b. Between earth and sea, biodiversity in the Cinque Terre National Park. Insects: a park in miniature to be defended and discovered. Municipality of Monterosso al Mare, La Spezia, Italy, 12/05/07. Vitali, F., 2012a. Longicornes du Luxembourg et changement climatique. Réunion des collaborateurs scientifiques, Centre culturel de rencontre Abbaye Neumünster, Luxembourg, 17/03/12. Vitali, F., 2012b. Longicornes du Luxembourg et changement climatique. Société Lorraine d’Entomologie, MJC Bazin, Nancy, France, 15/05/12.